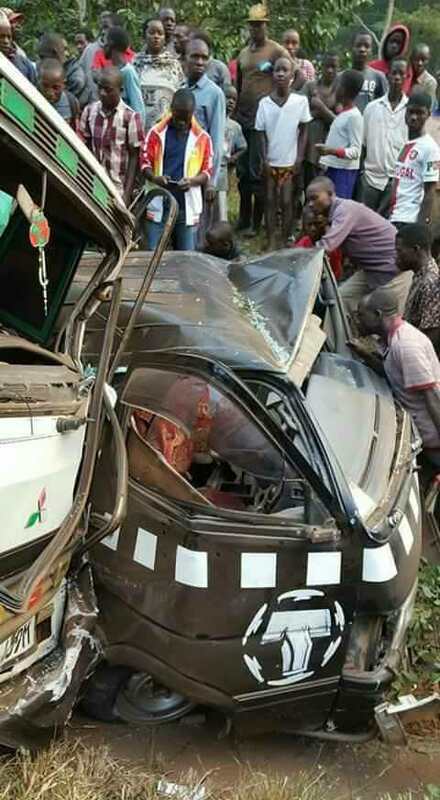 Tension in Bujuko on Mityana Uganda after a fuso lorry carrying maize crashed into a commuter taxi killing unspecified number of passengers. 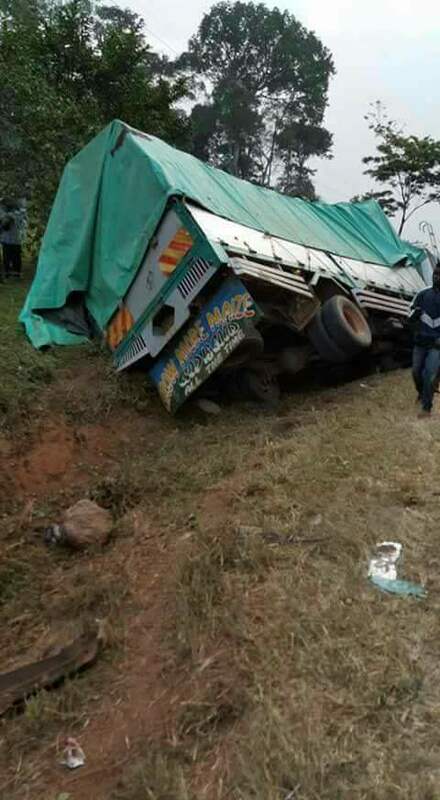 According to police the two vehicles were heading to Kampala from Mityana and the lorry registration number UAM 459M crashed into a taxi and fell into a trench. The taxi driver identified as Robert Kawuma was confirmed dead on spot after his legs were cut off. 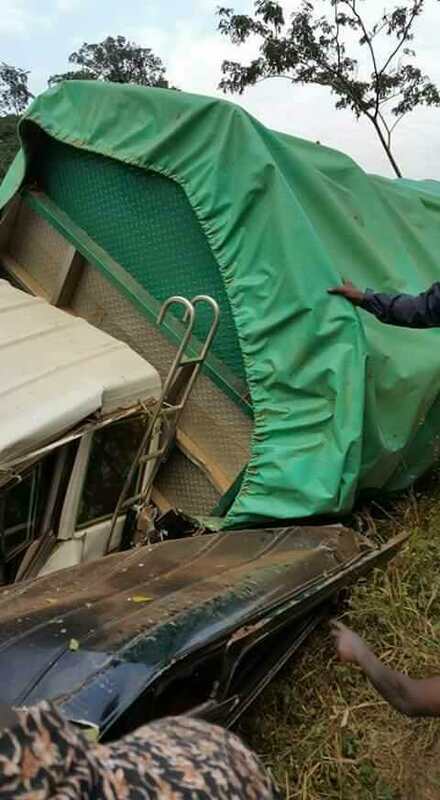 Traffic police spokesperson Charles Sebambulide by the time of filing this story, said traffic police was waiting for a break down to lift the lorry from the taxi and cutting through the wreckage to rescue the would be survivors.